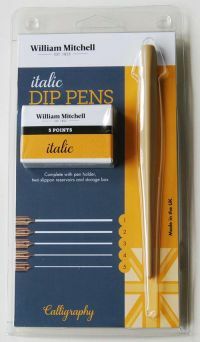 William Mitchell Italic Dip Pens Set of 5 Italic Right Handed nibs with two slippon reservoirs and a multi purpose holder. 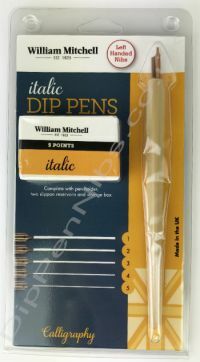 William Mitchell Italic Dip Pens Set of 5 Italic Left Hand nibs with two slippon reservoirs and a multi purpose holder. 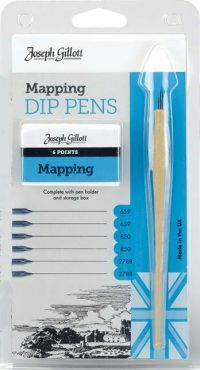 Joseph Gillott Mapping pen holder and 6 Mapping nibs No.  659; 659; 850; 850; 2788 and 2788. 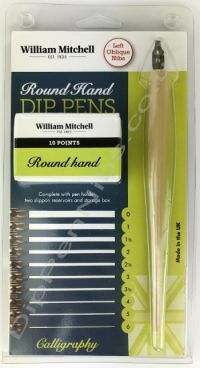 Multi Holder, 10 different nibs, 2 Slip on Reservoirs and storage box. 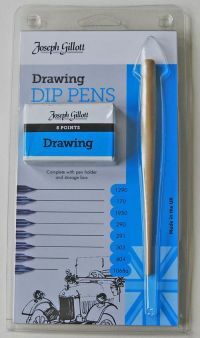 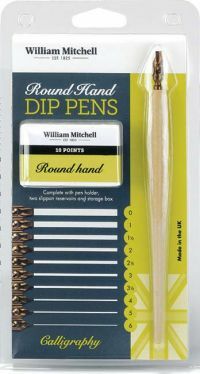 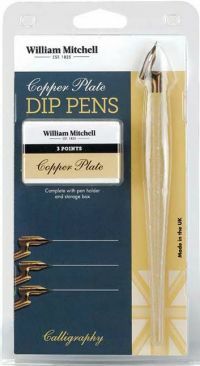 William Mitchell Manga Dip Pens Set of 6 Drawing and Mapping nibs with a mapping holder and a drawing holder. 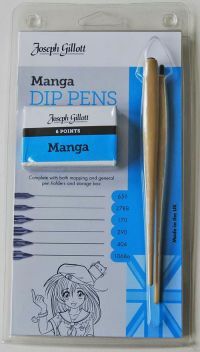 2 Holders, 11 different nibs and a magnet in a cleverly designed storage box.